​Portland-based artist Aminé traveled up to Brightwood, ORE and AirBNB&apos;ed a cabin to record his latest project, Calling Brio. With production from Kaytranada, Tek.Lun, Pasqué, boybeatsworld, and Aminé himself, the 10-track project—"Brio" being an old Latin phrase meaning "spirited" or "alive"—served as sort of a therapeutic release for Aminé, who says he made the project to distract himself from everything else going on in his life. "I&apos;ve been calling brio all year, hope he picks up soon," Aminé told Complex over email. He balances between his own signature sounds—everything from the future bounce sounds we came to love through artists like GoldLink and production from Kaytranada—while sampling more tribal-influenced tracks, and even some dark, trap sounds like on "Rage / Peace." 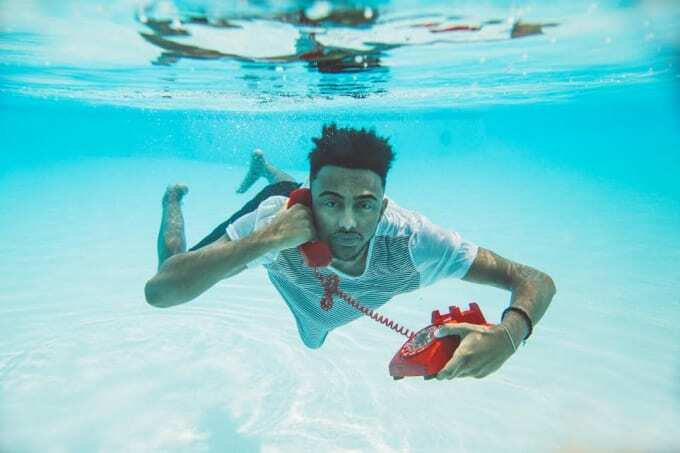 Aminé tries out a variety of sounds on Calling Brio, making him one of the artists we&apos;re certainly checking for this year. You can stream his latest project below or download it on his website now.